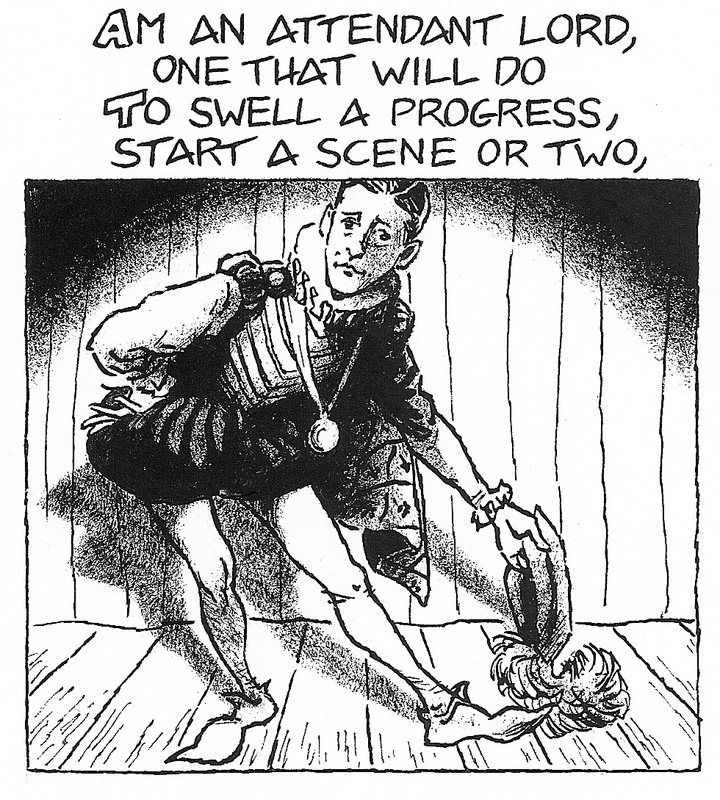 New “Prufrock” pages starting tomorrow! The next and final section of my adaptation of “The Love Song of J. Alfred Prufrock” by T. S. Eliot in comics form is ready to be rolled out. Look for a new page tomorrow, and then every Tuesday for the next 4 weeks after that. This means that the whole thing wil be published on this website by November 3. First up: To be or not to be Prince Hamlet? This entry was posted in "The Love Song of J. Alfred Prufrock" by T.S. Eliot, Poetry, Poetry Comics and tagged attendant lord, finale, prince hamlet, T. S. Eliot, the love song of j. alfred prufrock. Bookmark the permalink.